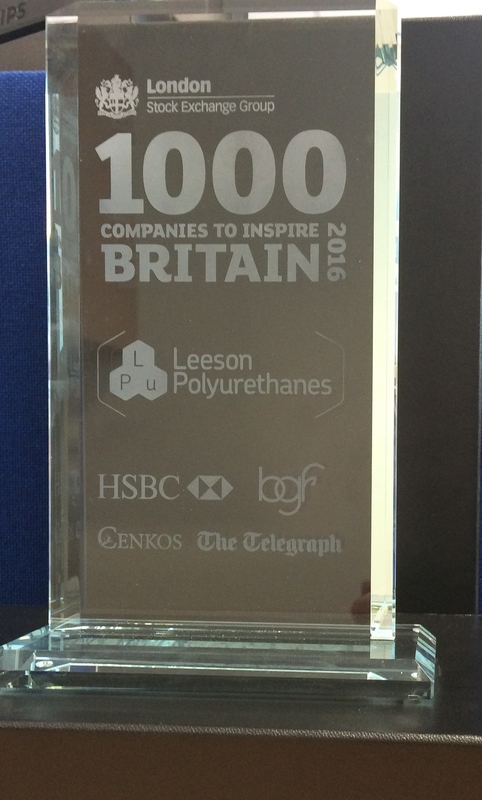 Leeson Polyurethanes Ltd has been identified as one of London Stock Exchange’s 1000 Companies to Inspire Britain. 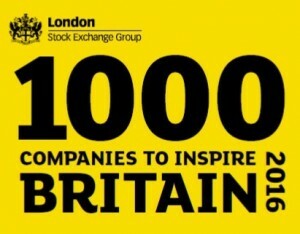 The report is a celebration of the UK’s fastest-growing and most dynamic small and medium sized businesses. 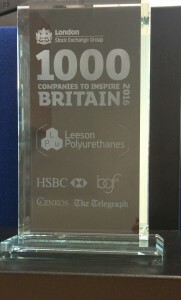 Established in 1986, Leeson Polyurethanes Ltd is the UK’s largest manufacturer of MDI polyurethane one component (moisture curing) and two component structural adhesives. 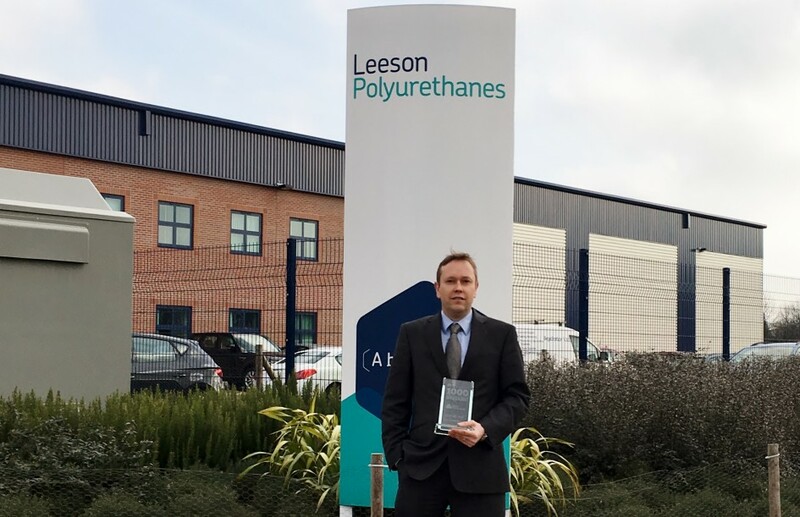 The company also manufactures a wide range of other polyurethane products including polyurethane binders for playgrounds and sports pitches, industrial and decorative coatings, and polyurethane reactive (PUR) hotmelts for panel lamination.